The Ki-102 entered service in 1944, but saw limited action. 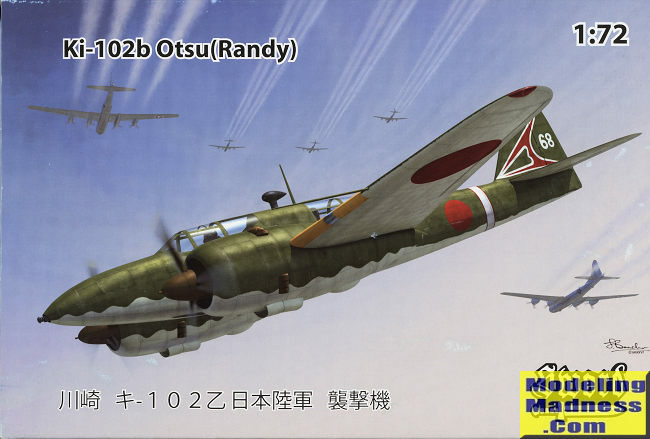 The main type (102b) was kept in reserve to protect Japan, although it did see some duty in the Okinawa campaign. It was kept out of front line service because it was hoped that it would be the carrier of the Igo-1-B air-to-ground guided missile when the Allied invasion of Japan occurred. 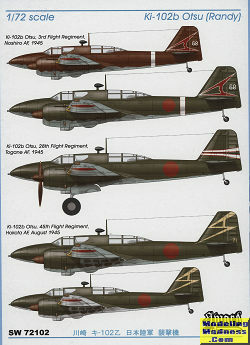 Over 230 were built, the vast majority (207) being the Ki-102b variant. Prior to this one, Pavla produced an earlier short run kit. That was one of their first short run kits, so had the usual photo etch for details and a vacuformed canopy as well as being a bit cruder. This is a more modern short run kit with no photo etch, no resin and an injected plastic canopy. Engraved detail is nicely done and consistent. 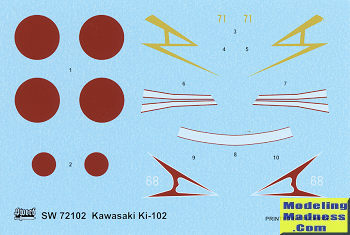 Often with older short run kits, the engraving was not only very shallow, but often not the same depth. Both the front and rear cockpits are nicely done with the front including seat, stick, instrument panel, and side consoles with the rudder pedals molded in place. In the back is a seat and nicely detailed gun and mount. There is some side wall detail, but it is basic. 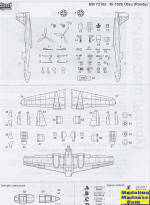 ONe builds up each of the main gear wells and landing gear prior to installing them in the lower wing. There is a piece for the front of the well and with that in place, the upper wing halves are glued on. Engines are fairly well detailed and fit into engine cowlings that are split into right and left halves. Thanks to the rather large spinner, not all that much will be seen. The last o f 13 construction steps puts all the various pieces together, including the clear bits. The canopies are molded shut. 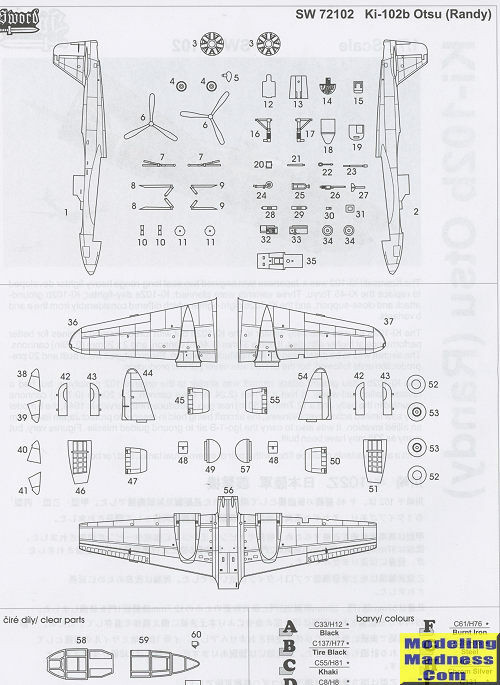 One interesting note in the instructions is the option to open up the curved area below the back of the aft canopy. Personally, I'll leave it alone as that is the sort of thing I'd mess up. Instructions are nicely done with Gunze paint references. There are three main options in green over light grey with yellow wing leading edges. One is surmised to perhaps be a brown drab on the upper surfaces as with many Ki-67s. I'm also thinking that perhaps the underside was left unpainted as was frequently the case with IJAAF planes in the last couple of years of the war. Markings are for the 3rd, 28th and 45th Flight Regiment and I think they are all accurate as the plane was assigned to several units during 1945. Decals are nicely printed. Now that I have this one, I doubt I'll build the Pavla kit in the stash. I have a fondness for Japanese twins as they were all rather sleet aircraft. If one has any short run experience, this one should not be a problem and will make a nice addition to any Japanese aircraft collection.